Spin the hand wheel and watch the spool spin. Follow the thread as it travels down to the bobbing wooden needle. 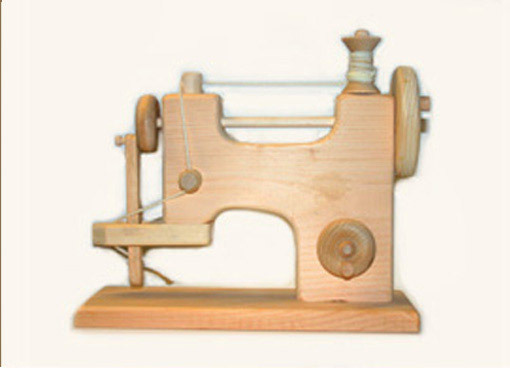 No alterations needed, this wooden sewing machine is tailor made safe for your favorite little seamstress. 11.5" x 4" x 10"